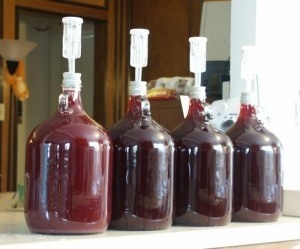 We are publishing few new recipes and tips for wine making every week at www.moonshiners.club and I want to share it with You. Remove the seeds without spilling juice; it has to remain in the same amount like pulp. 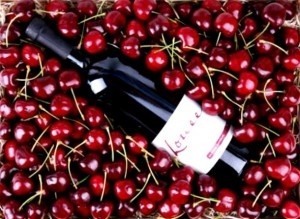 Seeds provide an almond taste which spoils the wines taste. Add water, stir it up. Tie up the bottleneck with gauze and leave it for 2-3 days in a dark place with a room temperature. Stir it once a day with clean hands or with a wooden spoon to knock down "the hat" from the pulp and peels on the surface. In case of foaming, appearing of a hissing sound and a sour smell, filter the juice through gauze into a fermentation container. Squeeze the pulp thoroughly. Add 14 oz / 400 grams of sugar and citric acid, stir it and install a water lock or a medical glove with a hole in one of the fingers. Leave the container in a dark room with a temperature of 65-81F° / 18-27°C. After 4 days take off the water lock, pour 0.25 gal / 1 liter of the must into a separate container, and dissolve 10.5 oz / 300 grams of sugar in it. Pour the obtained syrup back into the container and install the water lock once again. Repeat this procedure after 3 days by adding remaining sugar (10.5 oz / 300 grams) into the must. After 20-45 days the wine will become brighter, there will be sediment at the bottom and the water lock will stop emitting gas (the glove will deflate). This means that active fermentation has stopped and it's time to separate the wine from the sediment through a narrow tube into another container. Tightly seal the container and then leave it for aging in a dark place with a temperature of 50-61F° / 10-16°C. After 3-12 months (the more, the better) the homemade sweet cherry wine should be cleared from the sediment once again, bottled for storing and hermetically sealed. You can keep it in a fridge or a basement, its shelf-life is 3-4 years.